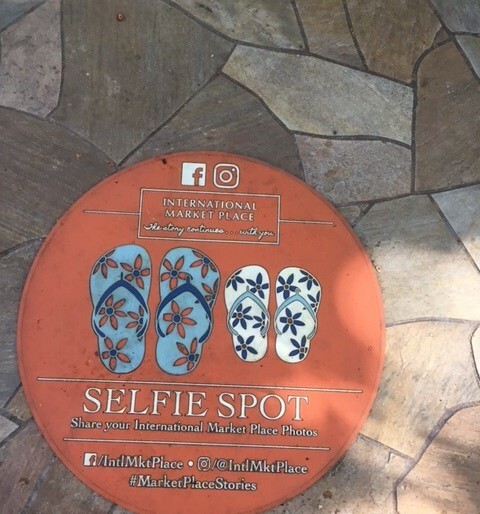 I found this sign when I was out walking in Waikiki, Hawaii. It was at the beginning of a new shopping centre. As I was wandering through the plants and trees i kept thinking to myself how beautiful this place is. It was a lovely mixture of the man-made and the natural. What a lovely place for a selfie! And then I came across this sign. The shopping centre designers had beat me to it. A simple, smart way to engage customers.